Arrival in St.Petersburg. Meet-and-Greet at the Airport. 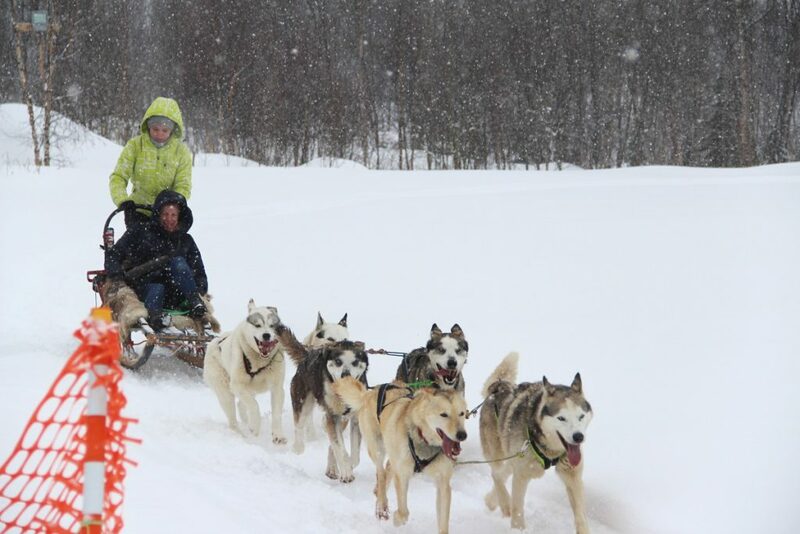 Transfer to the hotel. 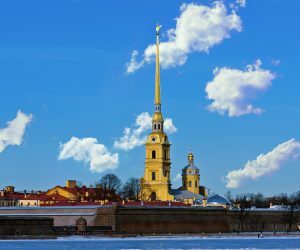 This is the first day of your stay in St.Petersburg. 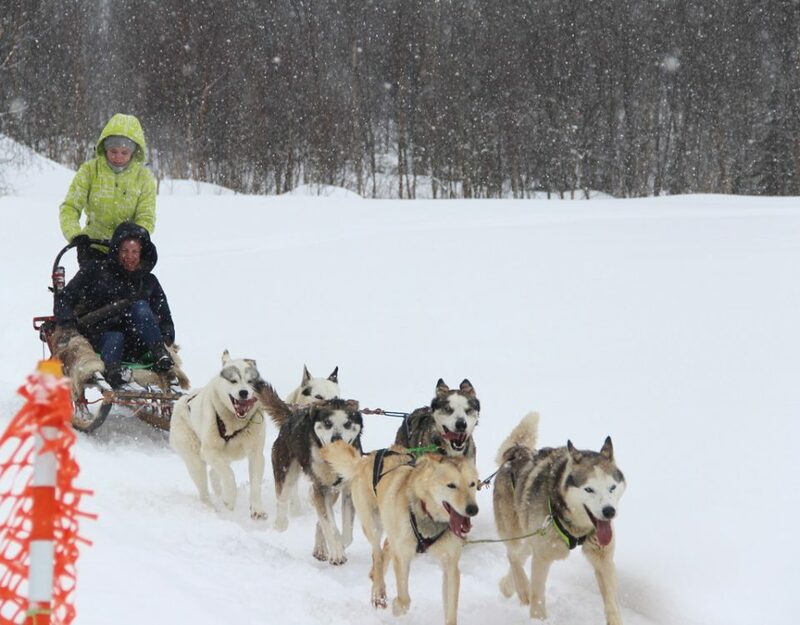 Have a good rest and prepare yourself for the exciting itinerary awaiting you. 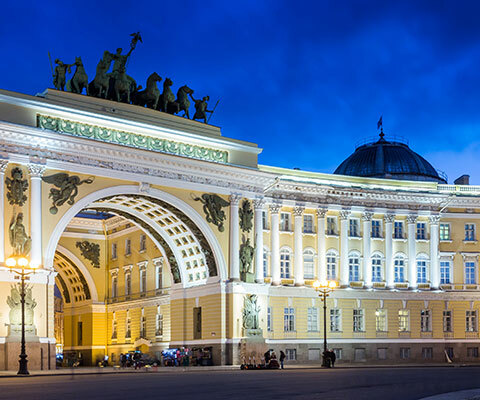 St.Petersburg and Kazan – two beautiful cities, so different and yet so close in spirit. 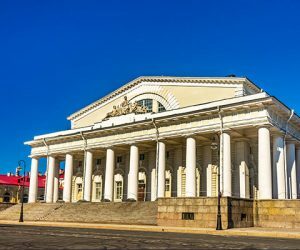 The itinerary begins with a tour of the St.Petersburg historic centre and visits to its famous palaces included in UNESCO WHL. 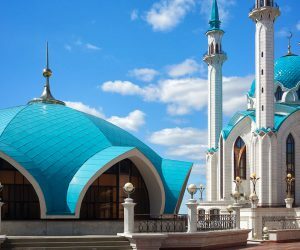 Then a short flight will take you to the city of two religions – Kazan, where you will learn about its rich past and amazing present, visit Great Bolgar, tour Kazan Kremlin, see unique monuments of the island city Sviyazhsk. 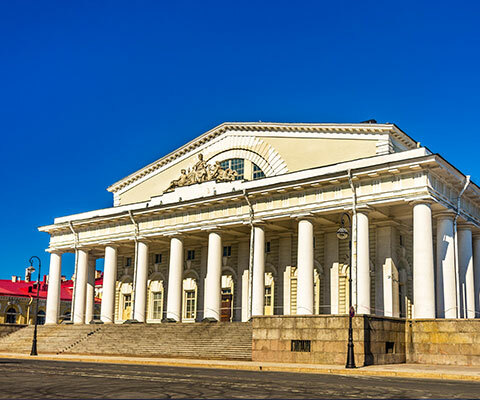 City sightseeing tour continues at the Fabergé Museum, located in the Shuvalov Palace on the Fontanka River – one of the most beautiful palaces in St. Petersburg. The museum’s collection contains the world’s largest collection of works by Carl Fabergé, including nine of the famous Imperial Easter Eggs, regarded not only as the finest jeweled works of art, but also as unique historical artifacts. The museum’s collection also includes pieces of decorative and applied art made by the Russian masters of the late 19th and early 20th centuries. 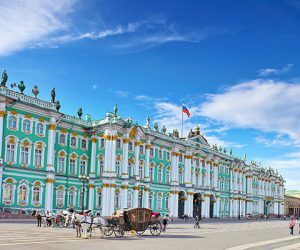 Founded in 1764 by the Russian empress Catherine the Great, the State Hermitage Museum is one of the oldest and largest art galleries in the world. It houses more than 2.7 million exhibits. During the tour you will visit 4 buildings of the Main Museum Complex: the Winter Palace, Small Hermitage, Old Hermitage and New Hermitage. You will see works by Leonardo da Vinci, Raphael, Roden, Rembrandt, Rubens, etc. 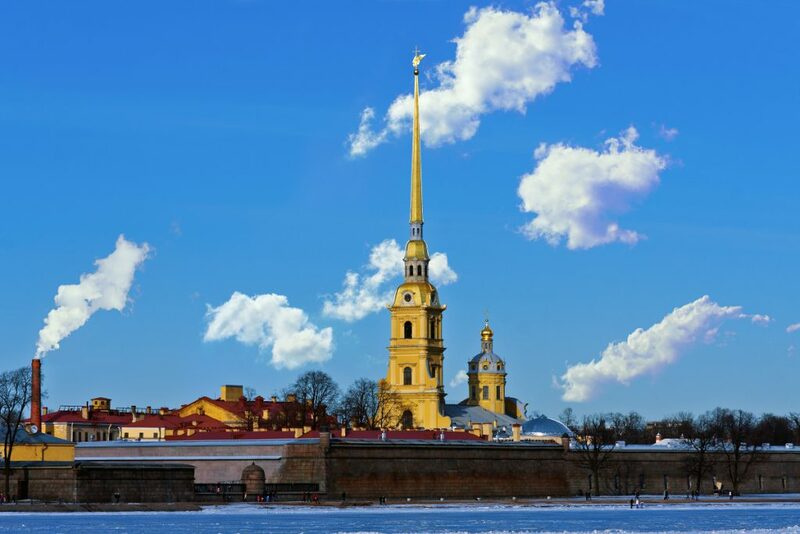 Peterhof palace-ensemble is recognized as a UNESCO World Heritage Site. 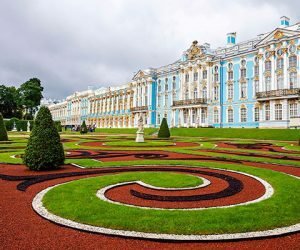 It is included in the state register of the most valuable cultural objects of the Russian Federation and proudly bears the title of one of the “Seven Wonders of Russia.” As a former residence of the Russian monarchs, Peterhof brings together the finest achievements in national and international culture. The architecture and decor of Peterhof reflects all the artistic styles of the past and the personal tastes and preferences of every Russian monarch. 12.40 Meeting at the Kazan airport. 16.30 KAZAN KREMLIN walking tour. 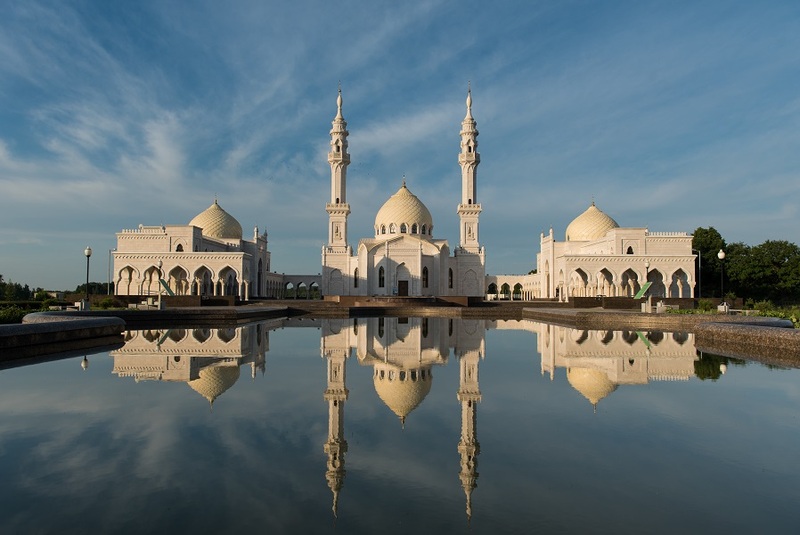 You will visit UNESCO WHS – the Kazan Kremlin – and see Kul-Sharif Mosque – the main Juma mosque of Kazan and the Republic of Tatarstan, the Cathedral of the Annunciation, the Governor’s Palace and one of the symbols of Kazan – the falling tower of Sjujumbike. Full-day visit to Great Bolgar. Great Bolgar is the city where local population accepted Islam in year 922. 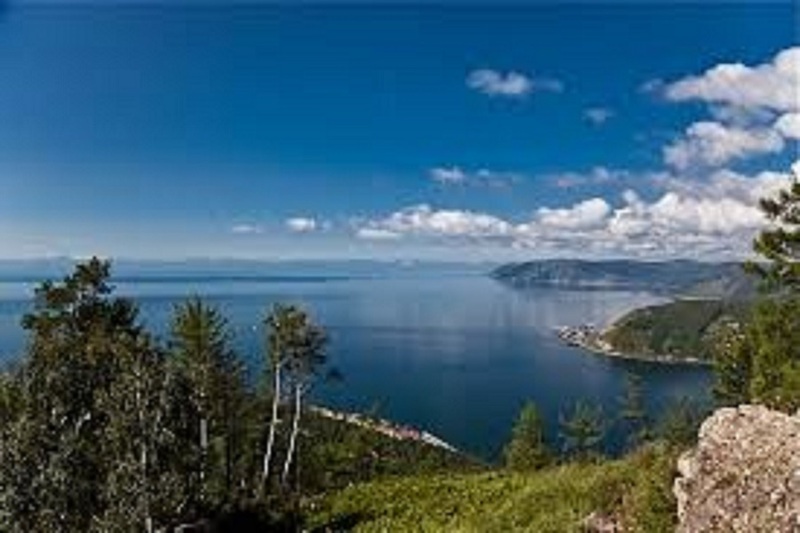 We invite you to travel back in time, when the Volga Bolgarians explored that area, called “The Country of Cities”. There used to be about 250 small cities around and “Great Bolgar” was the biggest one. Thanks to its exceptionally favorable geographical location at the crossroads of river and land trade routes Great Bolgar quickly transformed into the largest shopping centre, known far in the East and in Europe. Peter the Great and Catherine II saved the heritage of Bolgar. 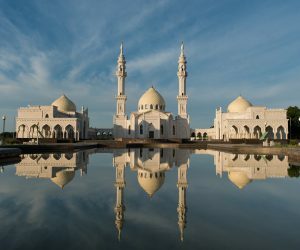 Now these objects are places of pilgrimage in the “North Mecca”, as the city of the Muslims of Russia has been long called. The Red, Black and White Chambers and eastern baths. Cathedral Mosque and Big Minaret of the Khan Sepulcher. The Northern and the Eastern Mausoleums. 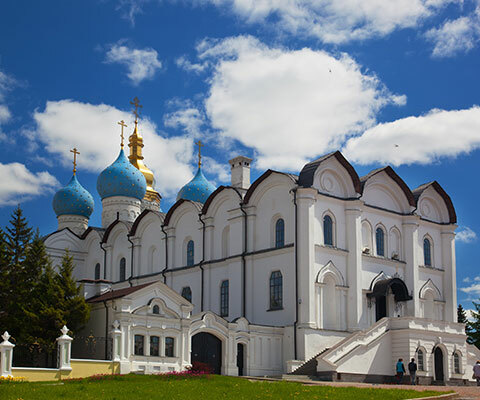 08.00 Departure for the tour of Sviyazhsk Fortress founded by Ivan the Terrible in the second half of the 16th century. Located within 30 km of Kazan, it is a unique historical and architectural ensemble where numerous monuments of Ancient Russian architecture, orthodox culture and history of the 16th-20th centuries have been preserved. 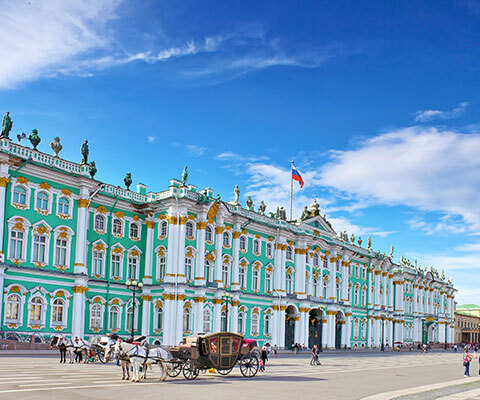 Entrances to the Hermitage (Main Museum Complex), Grand Peterhof Palace, Fabergé Museum, Catherine Palace & Park in Tsarskoye Selo (Pushkin), Kazan Kremlin, Bolgar, Sviyazhsk, National Museum of Tatarstan.